Arnold Schwarzenegger is desperate to make a new 'Conan' movie but he doesn't have rights to the character. The 71-year-old actor found fame in the cult 1982 fantasy movie 'Conan the Barbarian' as the pre-historic warrior and he reprised the role in 1984's 'Conan the Destroyer', with both films inspired by writer Robert E. Howard's stories about the eponymous character who must battle dark magic and savage foes in the mythical world. Schwarzenegger admits the script for the sequel is almost ready but he can't proceed and start shooting the project because of a legal wrangle over the rights to Conan with the Robert E. Howard estate. Speaking to website TheArnoldFans.com, he said: "The sad stuff about all of this is when there's an estate like this, The Robert E. Howard estate ... when someone buys these rights, those people now own the rights and they have their own vision of what they want to do. "We have been trying to convince him for years now that the way to go is to come back and hire a really great director and to do another Conan movie. It's really not that far from creating a finished script. The only one who really has to pull the trigger there is the people who own the Conan rights to do a movie. "Let's go to Netflix or whoever it is, let's hire a director who's very creative and can elevate the project to make it a winning project. I hope it will be done very soon because I think it's a great idea." 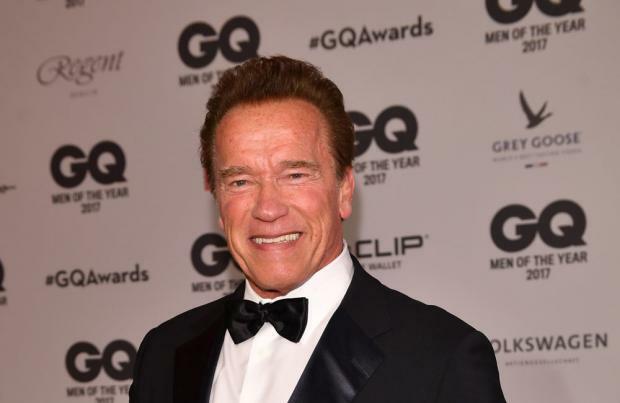 The 'Terminator' star added that the new movie would follow a 70-year-old Conan, played by him, who has become disillusioned with life on the throne as the king. Schwarzenegger – who has wanted to reprise the role for over 20 years – said: "It would have me play King Conan, when Conan is like 70 years old and he's disgusted by sitting on the throne and being the king and then something happens after that." Schwarzenegger returns to one of his most iconic roles.